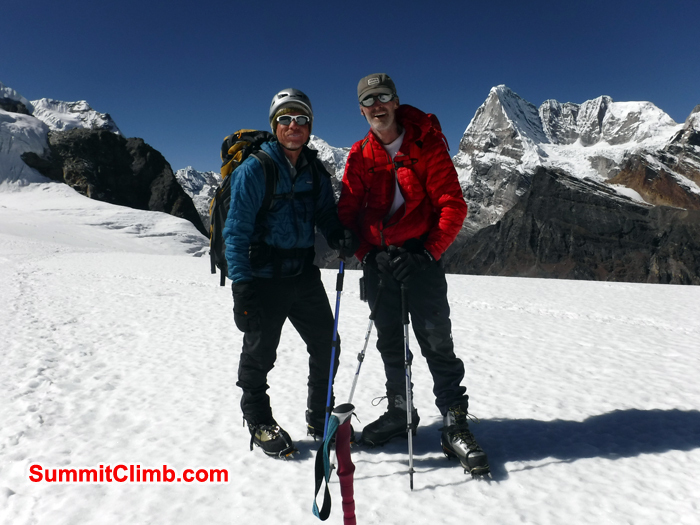 Just back from crossing the Amphu Labtsa Pass and climbing to the summits of Mount Baruntse and Mera Peak, we had an excellent expedition!! 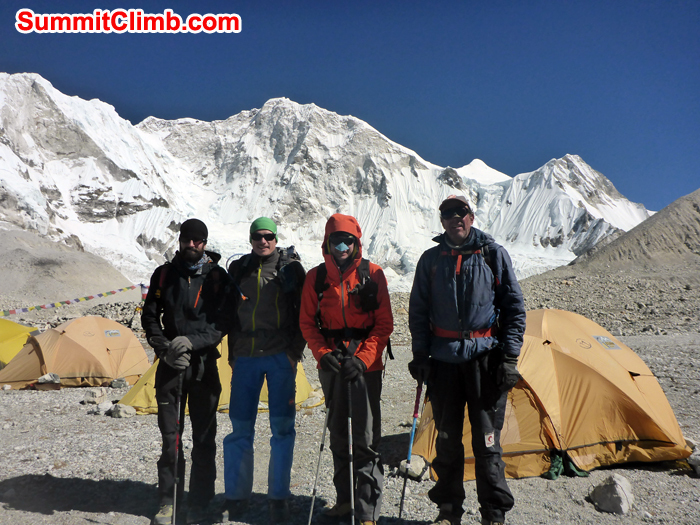 Our team members and Sherpas summited!!. The weather was perfect every day. 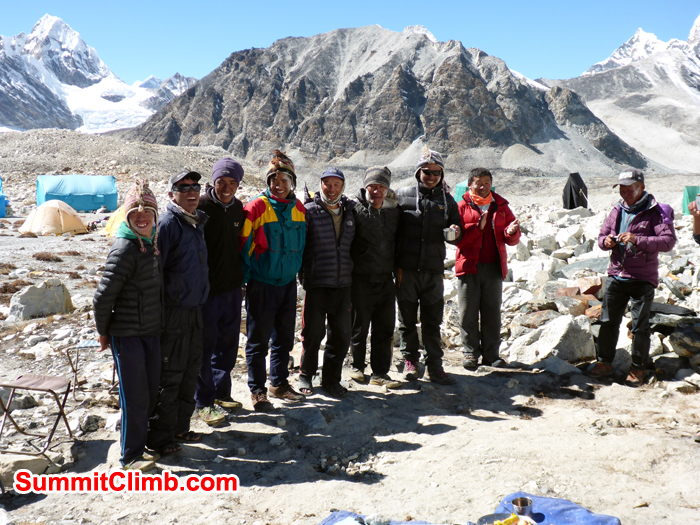 Our Sherpas did an amazing job of preparing the route, fixing the rope, and supporting the members. We helped all of the other teams with success and safety as well. Congratulations to everyone involved and thanks for your support. 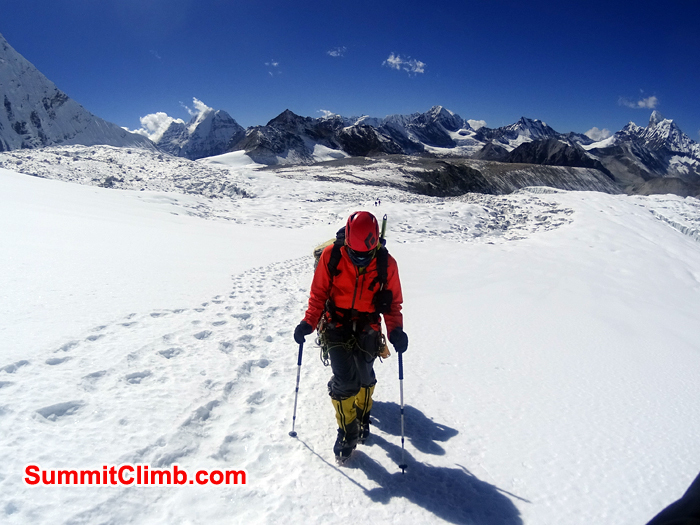 Two more members joined the expedition and just summited with our trusty Sherpas. Congratulations and Go Team! 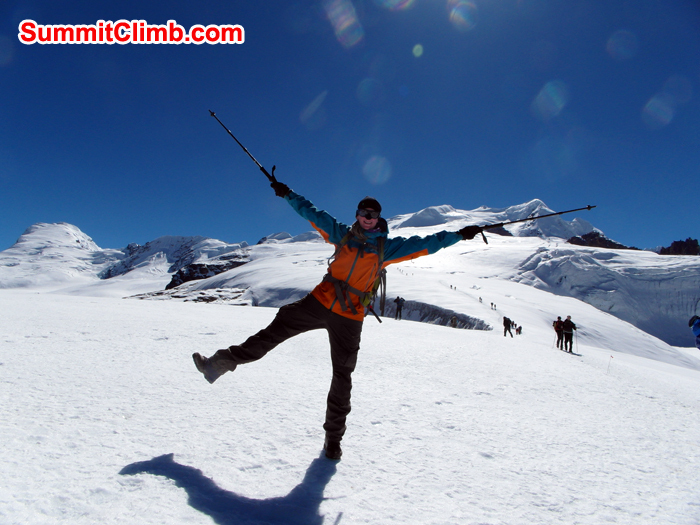 High camp 2 on ascent of Baruntse 6400 meters / 20950 foot. 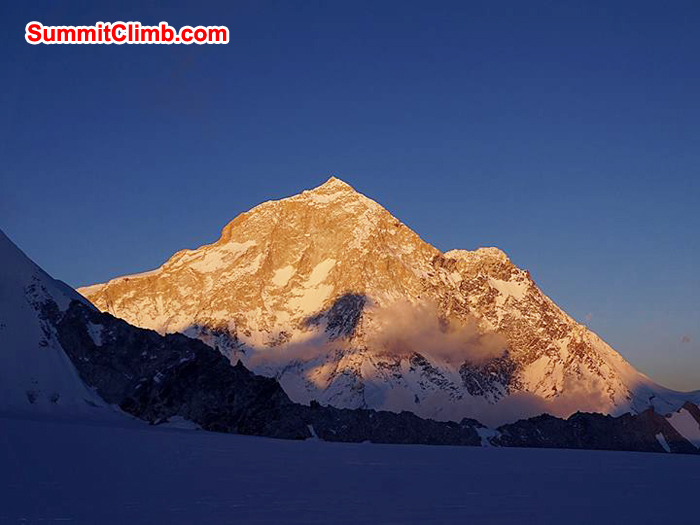 Mount Makalu 8485 meter from high camp 1 Baruntse. Photo: Niels Kammerer. 21 Nov - Second Team Summit Baruntse. Now back to basecamp and resting. 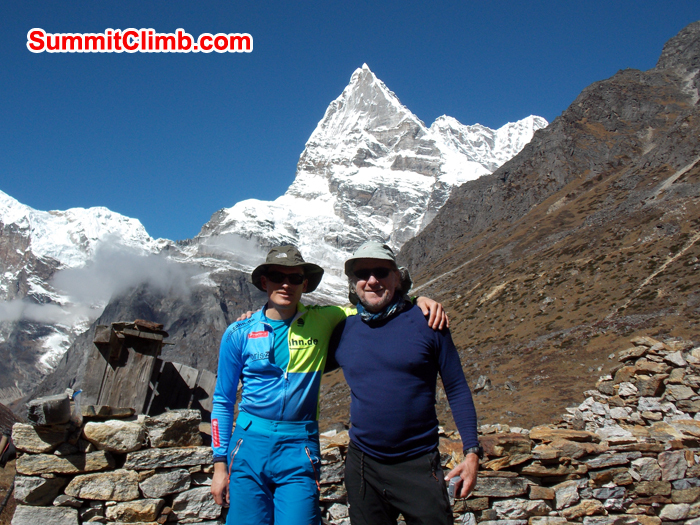 Gordon and Jangbu belay down from summit of baruntse. photo Gordon. 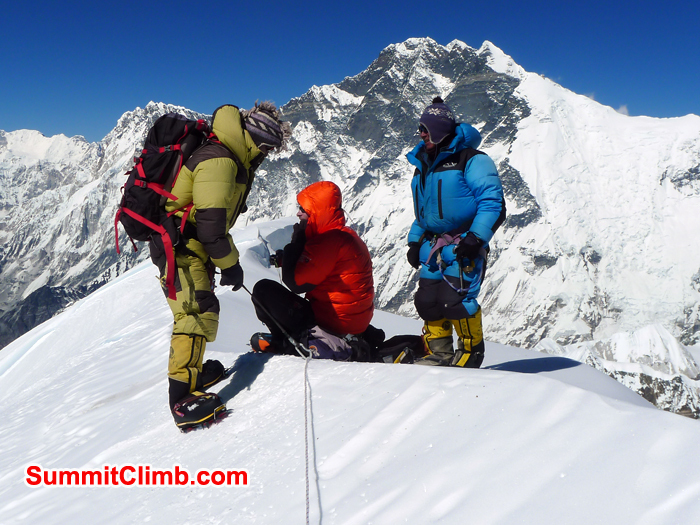 Gordon and Jangbu belay down from summit of Baruntse. Photo Gordon Larsen. 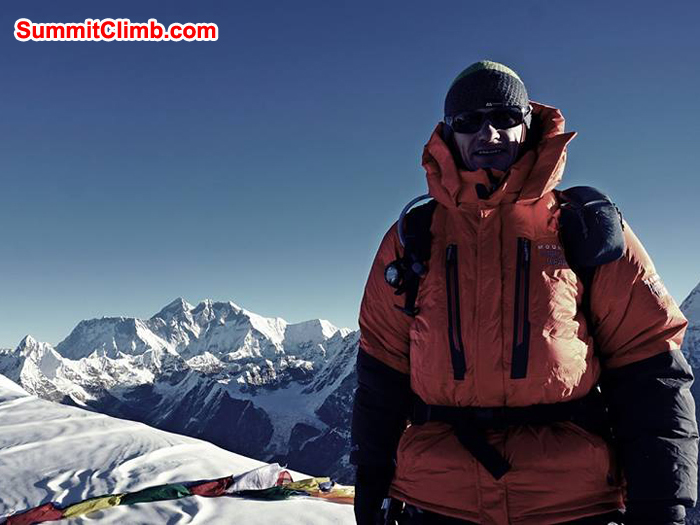 20 Nov - Update from Gordon - Gordon is trying for the summit tonight at 1:00 am. 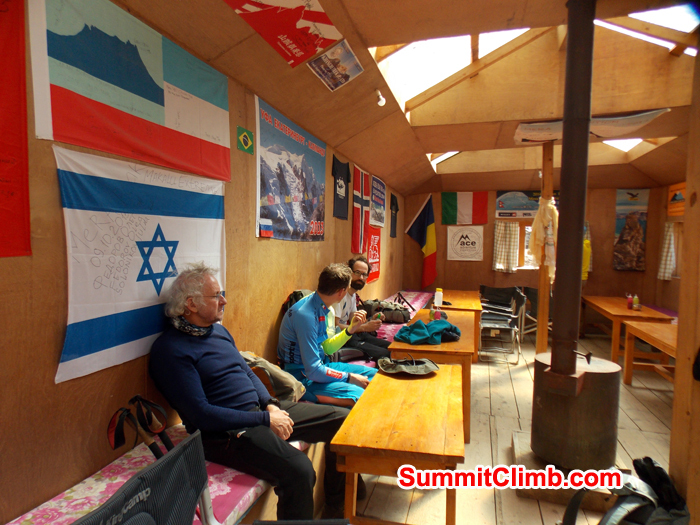 Its a bit windy in the high camp right now. Our thoughts and prayers are with the team. Godspeed!!! 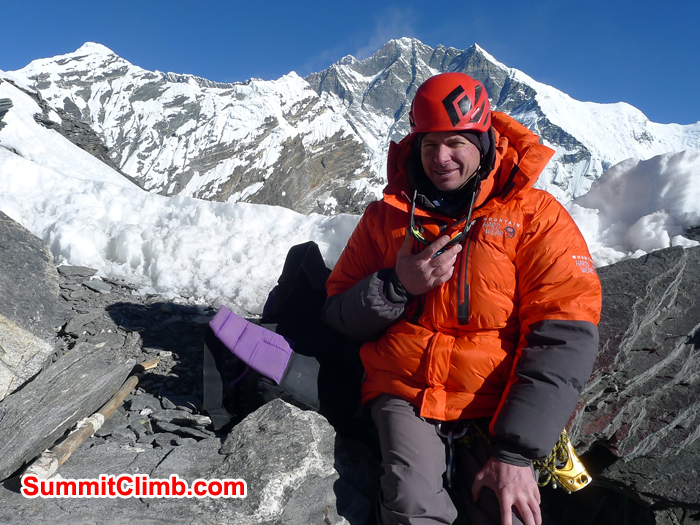 19 Nov - Update from Gordon - At Camp 1. Gordon and two sherpas. Mike stay at basecamp. Good Weather. 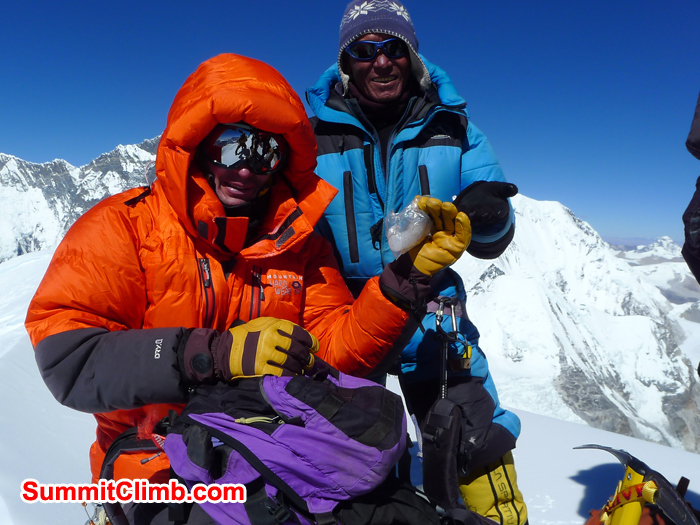 18 Nov - Update from Mike and Gordon - Starting summit attempt in the AM. Will go to Camp 1 tomorrow night. 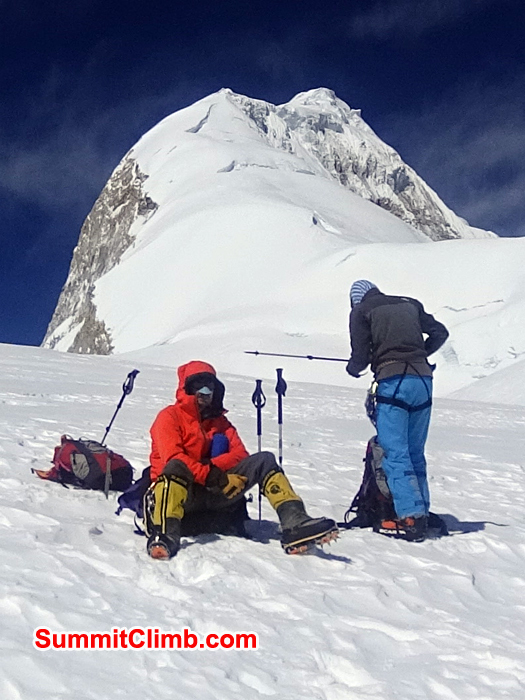 16 Nov - Update from Mike and Gordon - At Camp 1. All are well. 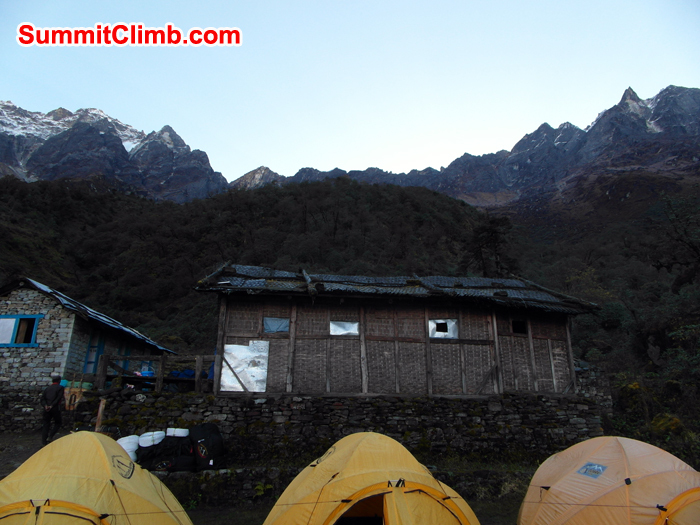 Go to Camp 2 in AM then back to Base camp for a rest. 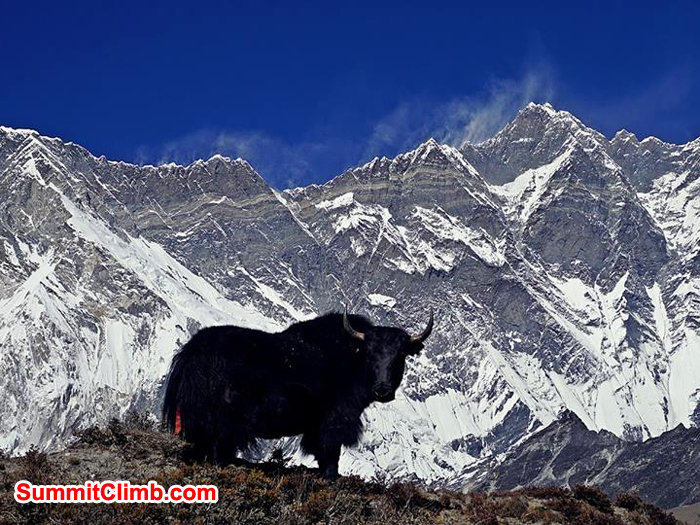 14 Nov - Mike had a couple of challenging nights with tossing and turning sleep, then he felt better, so Jangbu and the Sherpas climbed together with Gordon and Mike over the Amphu Labtsa Pass and now they are in Baruntse Basecamp. Let the climb begin! 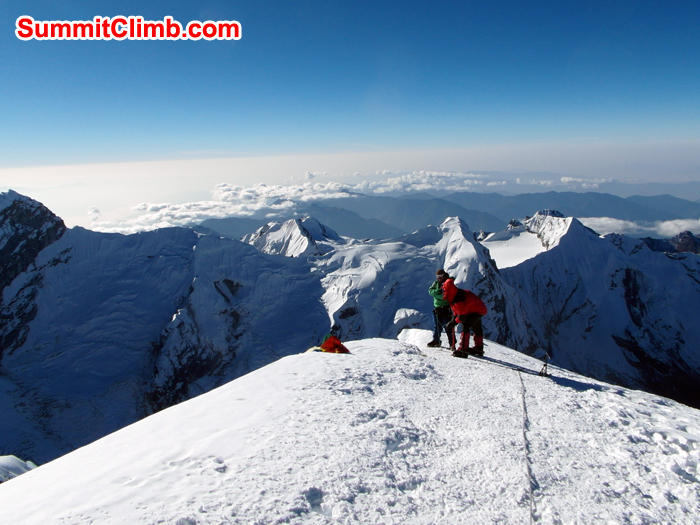 Kurt and Jangbu are on the Summit. 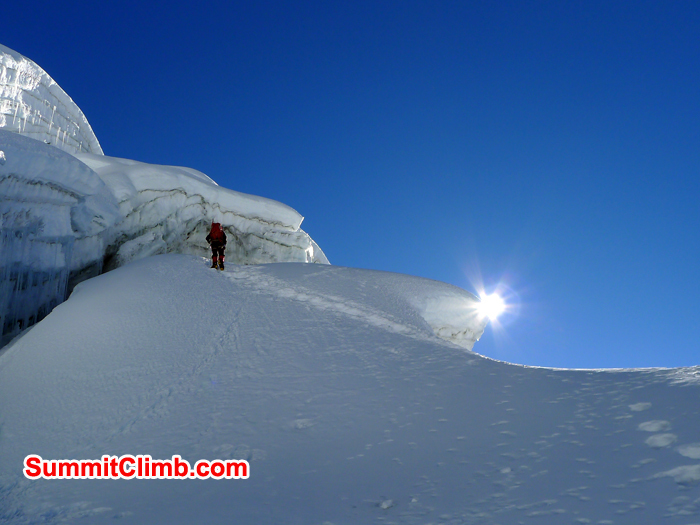 A view of the Baruntse summit ridge heading up towards the summit cone at 6950 metres / 23,000 feet. Photo Kurt Blair. 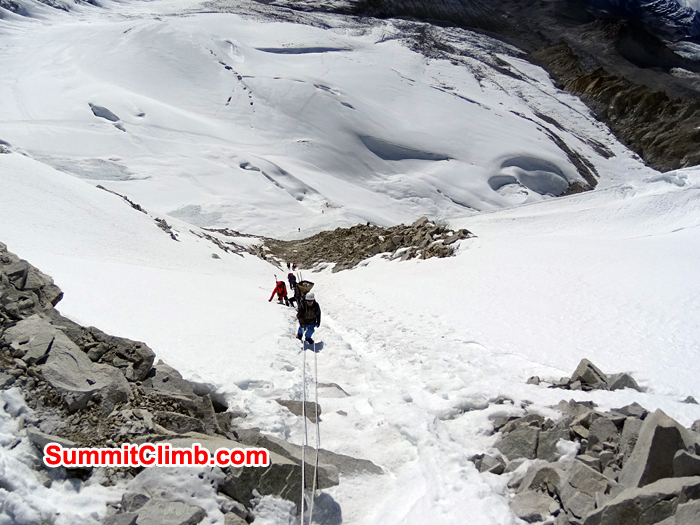 Baruntse Team member reaching camp 2 before summit. 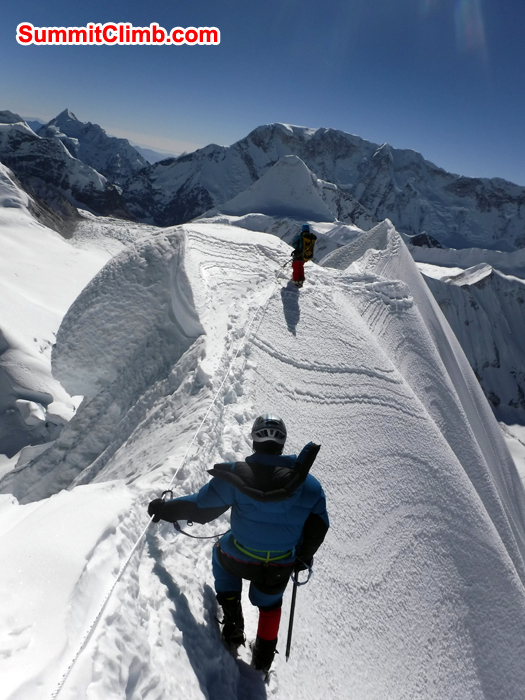 Climbers on the way to Summit of Baruntse. Photo Kurt Blair. Cross Amphu Labtsa pass to to Chukkung. 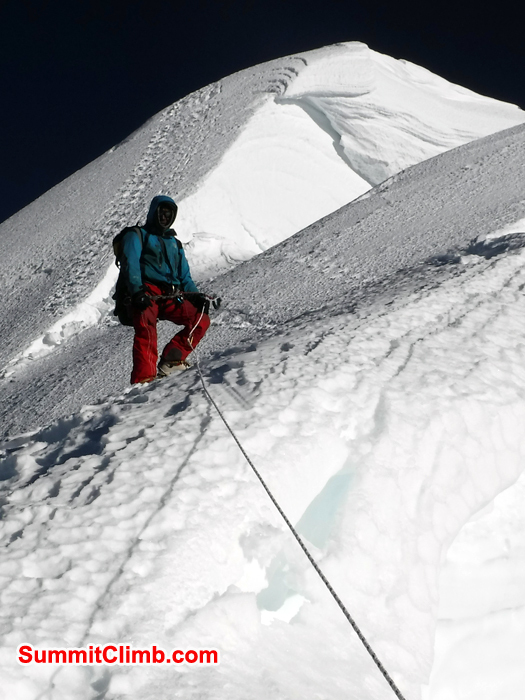 Descending down from Summit of Barunste with the help of Fixed rope. Photo Kurt Blair. Hike to base of Amphu Labtsa pass. Crossing Amphu. Photo Kurt Blair. 10 Nov - Update from Mike and Gordon- We are walking to Chukung. Sunny Day. No Wind. 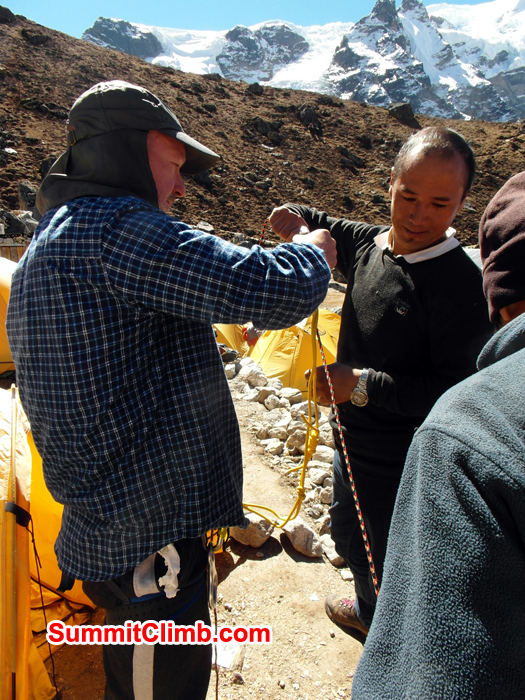 Today we worked with Gordon and Mike from Baruntse's second group to check their personal equipment, make the daily schedule, review route description, medical and communications technology. Looks like their trip is in very good shape. Welcome to the expedition! 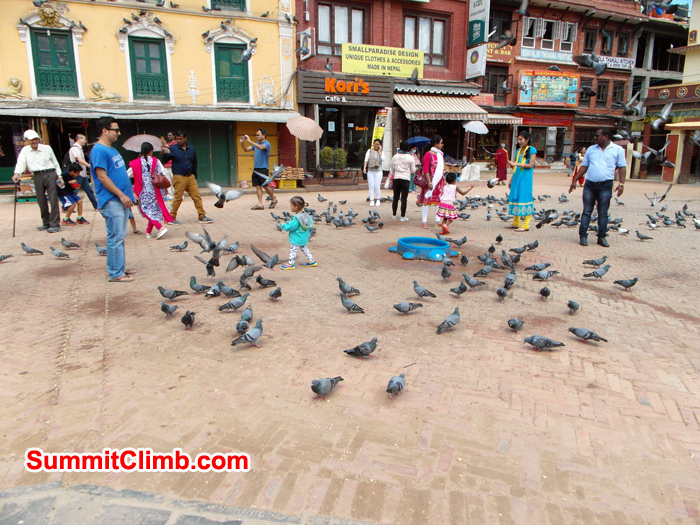 9 Nov - 1st Baruntse team celebrate summit success with chocolate cake, capuccino, and hot showers. 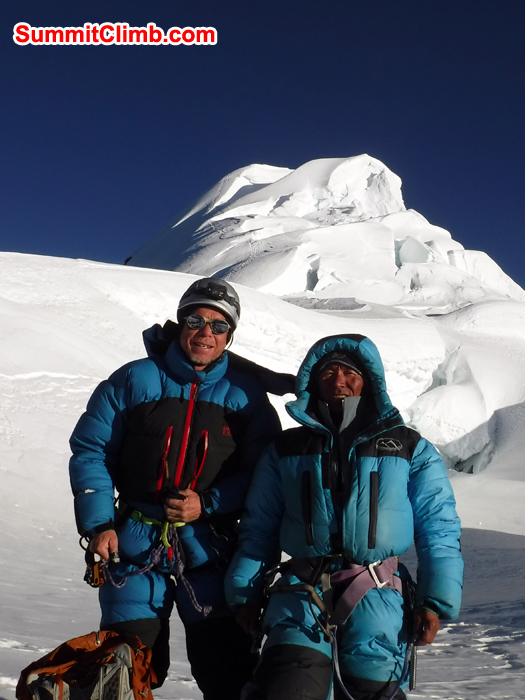 Welcome 2nd Baruntse group: Mike & Gordon! 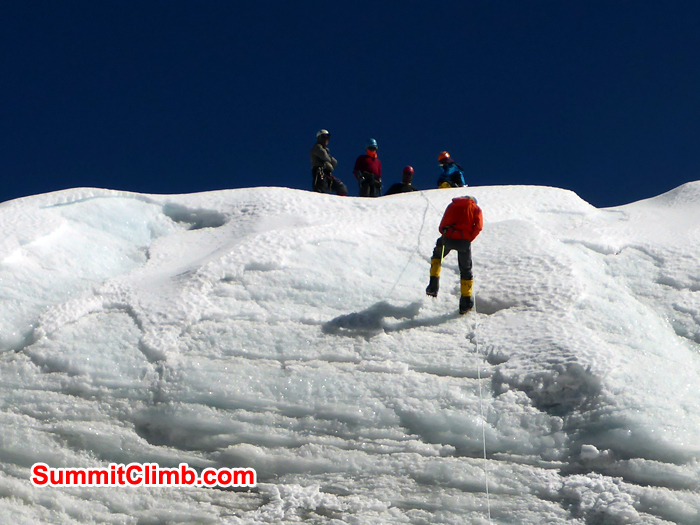 7 Nov - CROSS AMPHU PASS: CLIMB GLACIER ICE TERRACE WEDDING CAKE. DESCEND LOOSE ROCK CLIFFS, ABSEIL RAPPEL. PORTERS LOWERING - MISS U PATRICK. 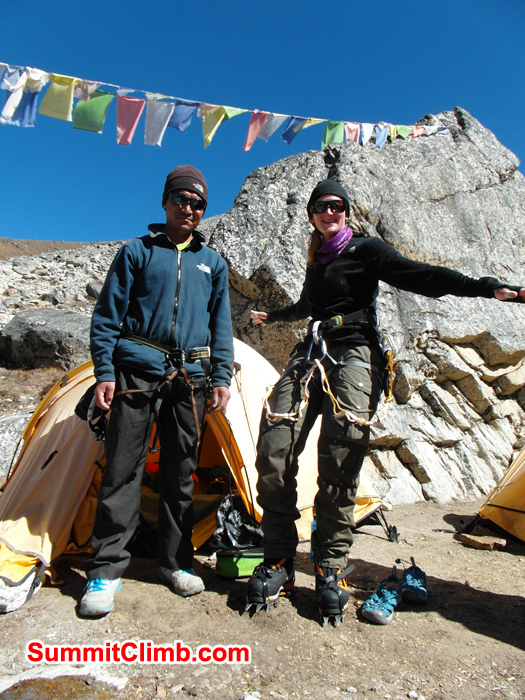 6 Nov - Camp at Amphu pass. 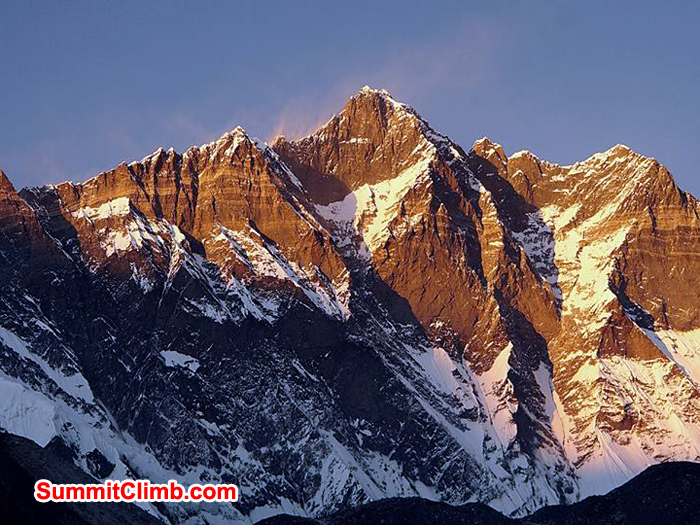 Now perched between pristine rare Hongku Valley and lush Everest Khumbu Valley. Choco cake + capuccino here we come! View from the summit of Baruntse. 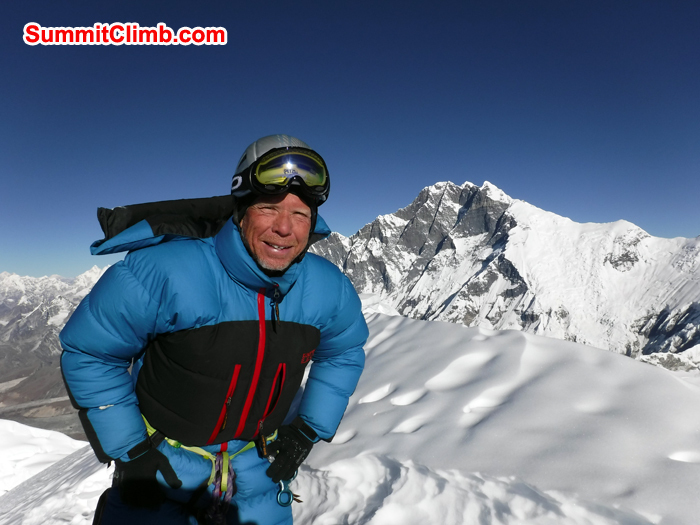 Expedition Leader Dan Mazur abseiling at 7000 m / 23,000 ft on Baruntse South Ridge, 4 Nov, 2016, 2:30 pm, after successful ascent. Below Dan is the Barun Valley. Photo by Patrick Kabouw. Its midnight. 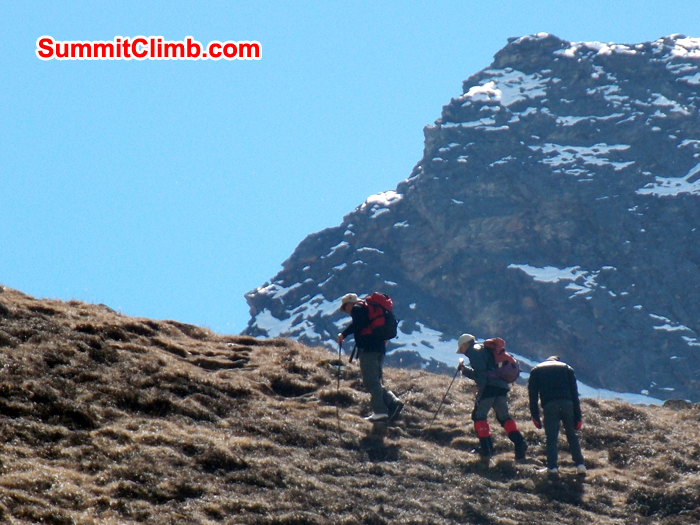 Time to head for the summit. A few cups of tea and we will be ready to go. its a starry sky with no wind. Wish us luck! 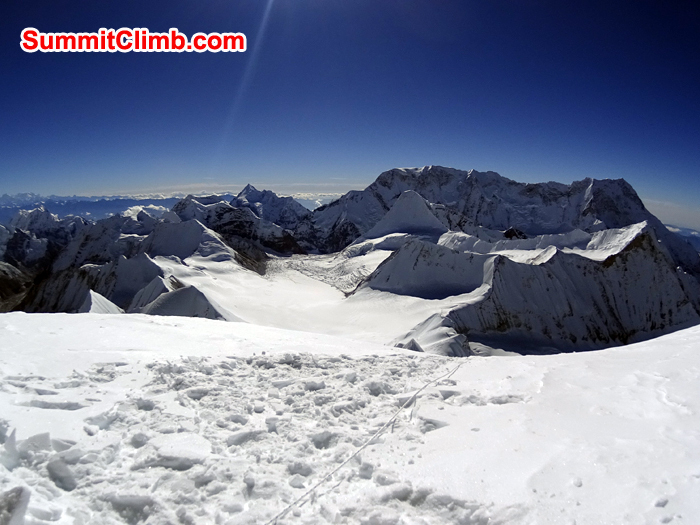 3 Nov - Now at highest camp 6440m/21,123ft. 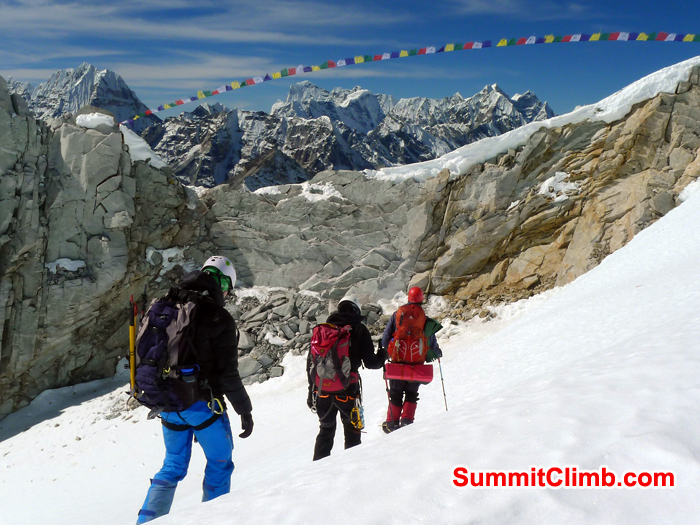 Baruntse's summit beckons. Light clouds, light winds. Midnight tonite we set off. Now rest, pray. 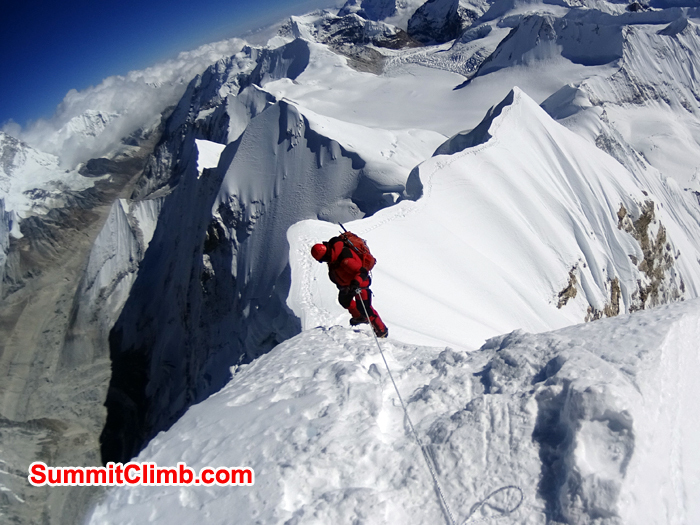 2 Nov - Sherpas fix rope to 7000m/23,000ft on Baruntse summit ridge. Members sleep camp 1. Weather stable sunny. Tomorrow night summit push. 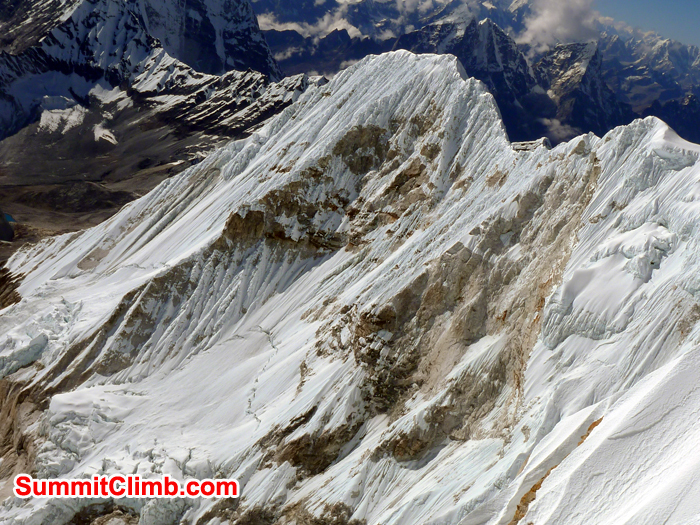 1 Nov - Rapid descent: all members, two Sherpas, camp 2 to basecamp. Members dine & shower, wait summit. 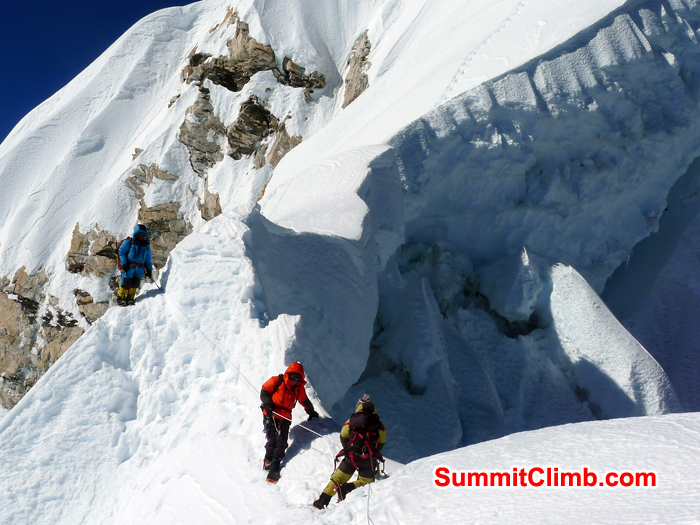 Our 3 Sherpas now fix rope to summit. 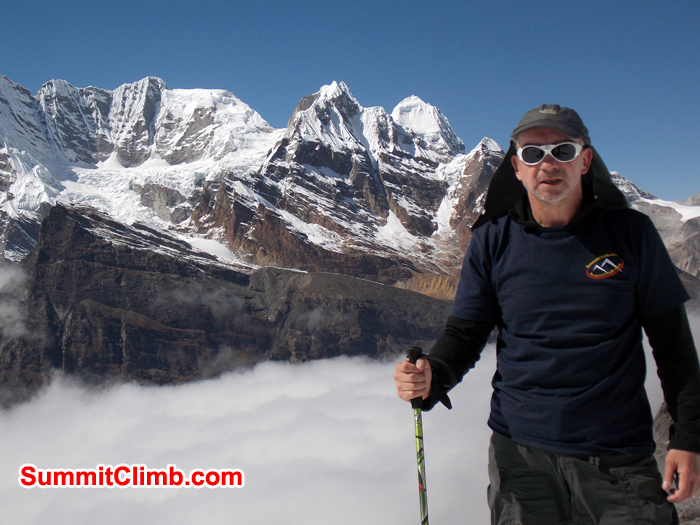 31 Oct - Climbed to 6450m/21,285ft for acclimatisation. Snow conditions are perfect. Weather seems cooperative: no wind, no cloud, warm sun. Cozy tents atop West Col. Fun fixed rope climb up to 6050m/20,000ft. 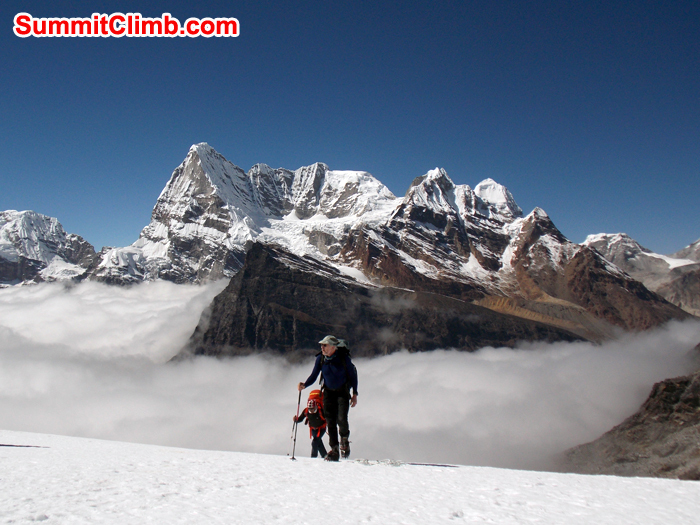 Incredible views of Makalu + 12 unclimbed peaks. Yummy dinner! 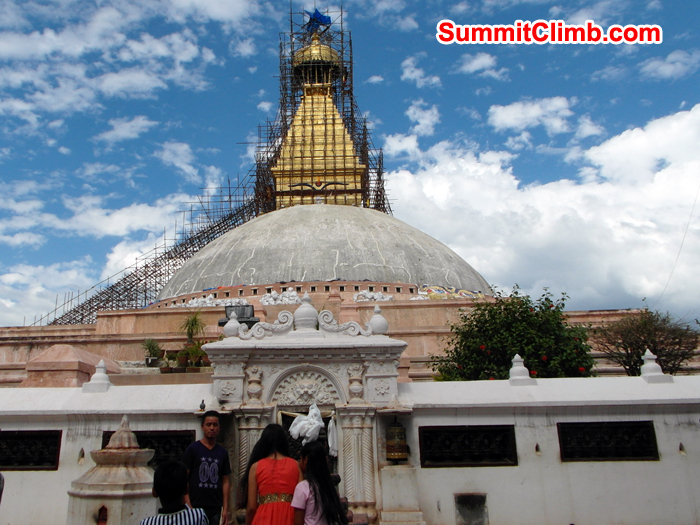 Now packing bags for 1st trip up Baruntse. 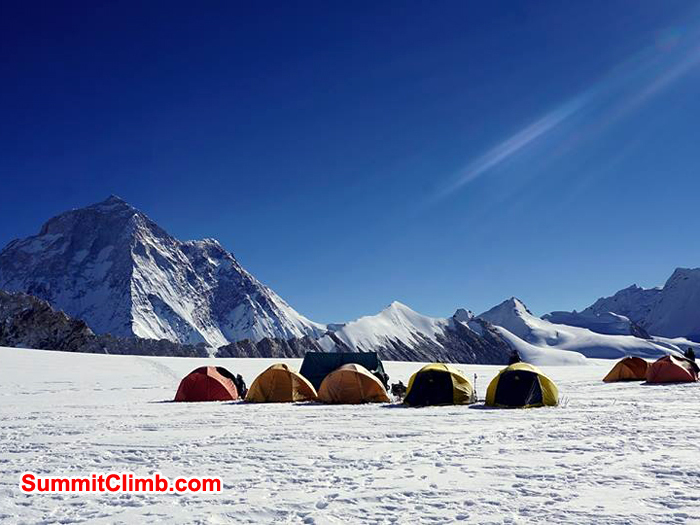 We plan to sleep @ West Col, camp 1, visit camp 2, then return to basecamp. Sun, no wind! 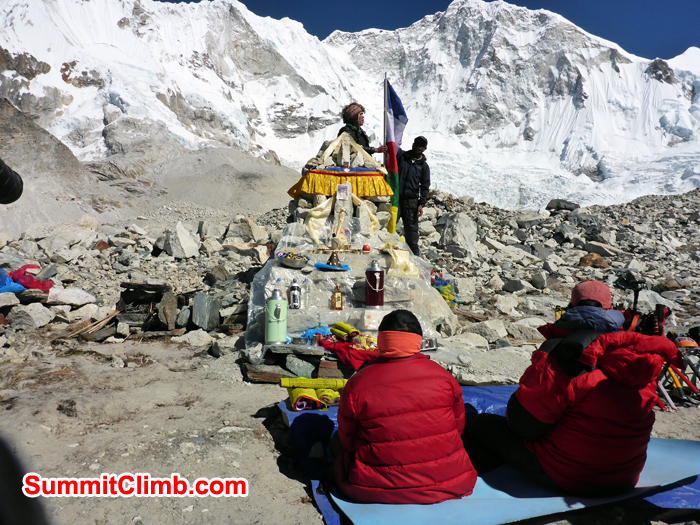 29 Oct - Sherpa priest blesses climb gear @ base. 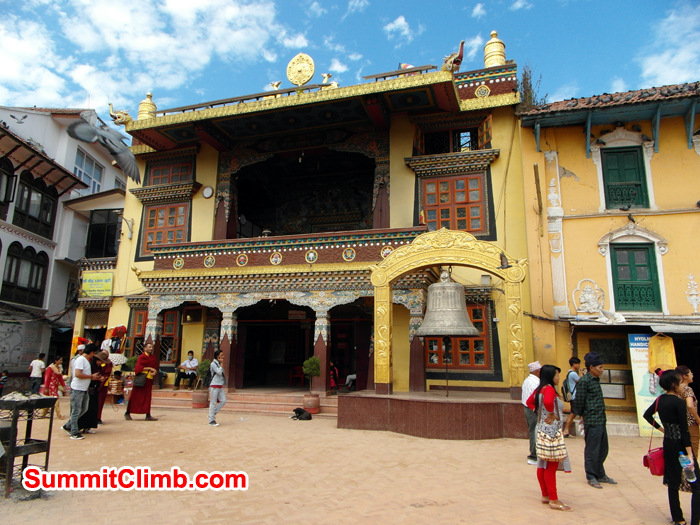 We hang colored prayer flags. Warm sun. Towering Baruntse. A day to sing, dance, drink, feast. 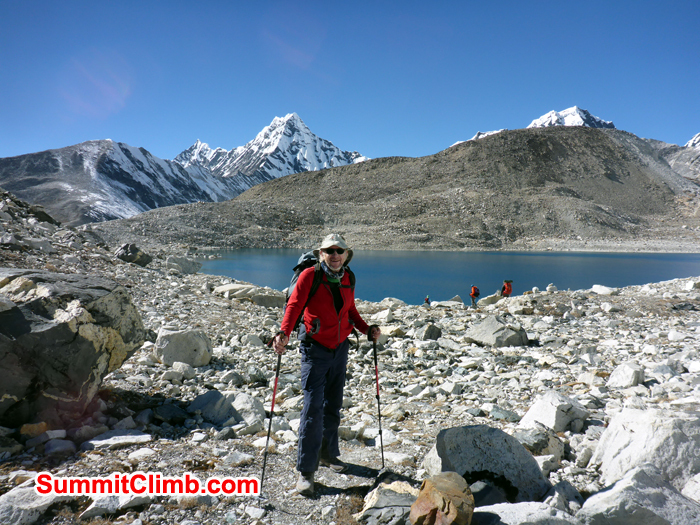 27 Oct - Sunny and warm here in basecamp. 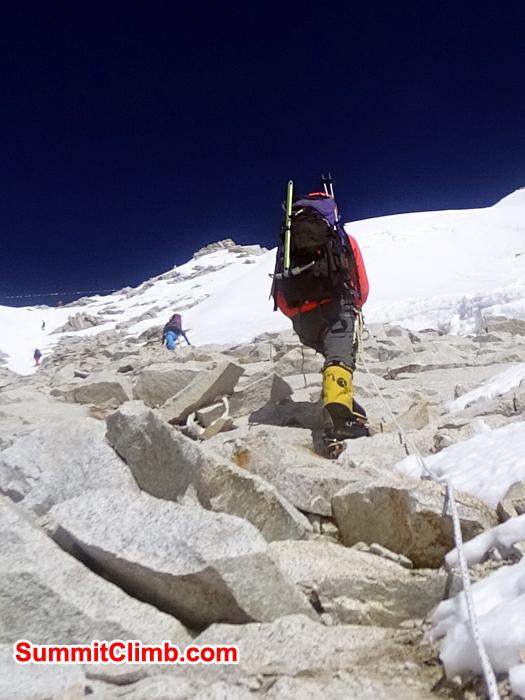 Sherpas fixed 260m/858ft of rope to top of West Col. Our cooks prepared 3 delicious meals. Even pie! 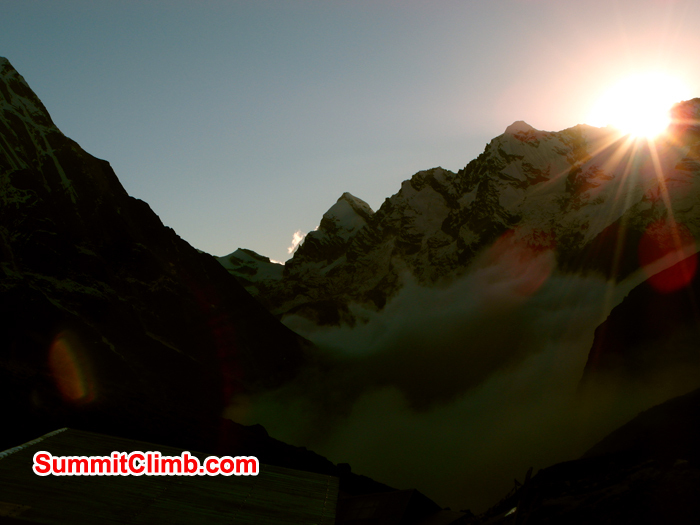 Mt Baruntse basecamp bathed in sunshine @ 5400m/17,800ft. 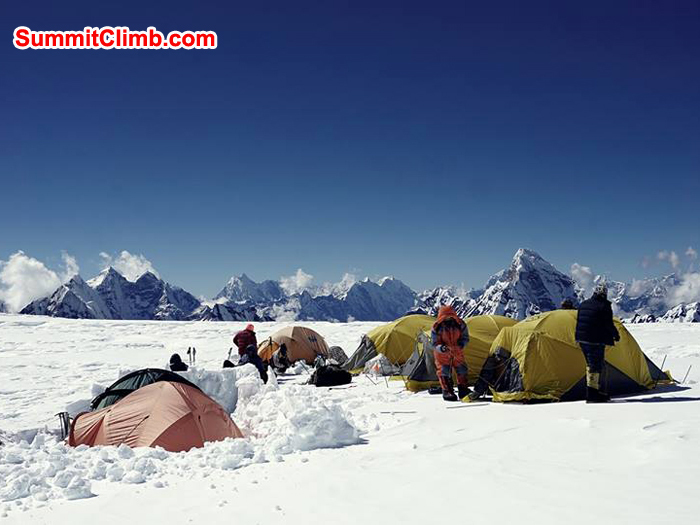 Resting in our individual sleeping tents: good view of Ama Dablam summit. 25 Oct - Grassy meadow camp, rushing crystal riverbank, surrounded by looming ice peaks. Delicious breakfast, warm sunshine, hot showers. 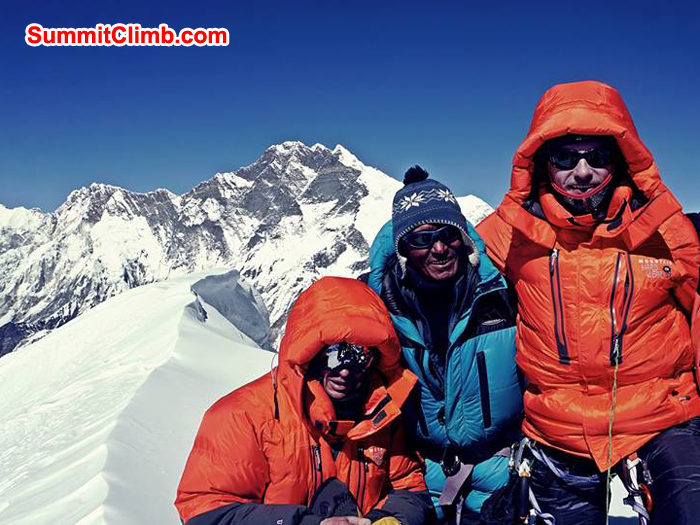 24 Oct - We are on the summit! Can you believe it? 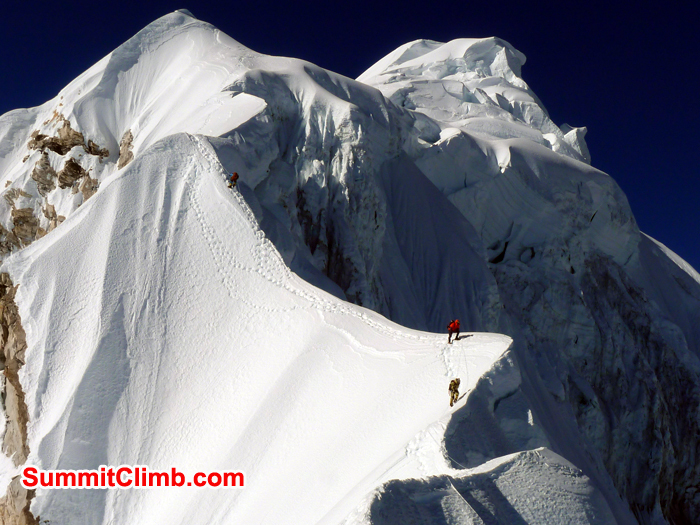 And...Everyone summited, 100 percent success, all members, all Sherpas. Sunny day no wind! Descent to Kongma Dingma Village @ 4700m/15,500ft in Hongku Valley. Carolyn, Sean, Jangbu and Pemba returned to Kare. We miss you! 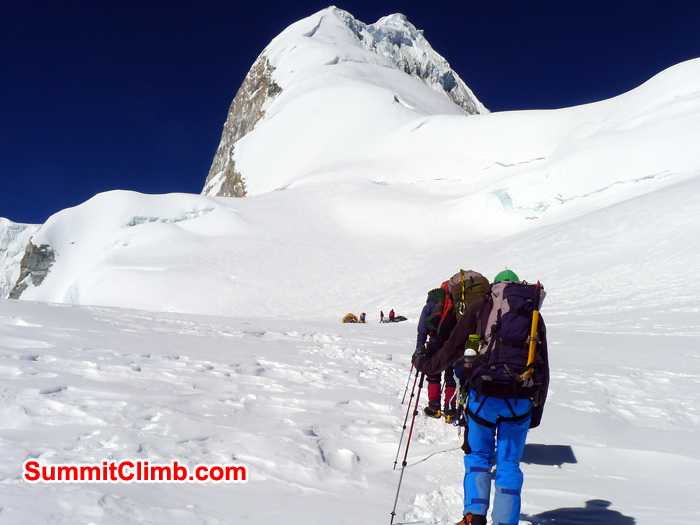 23 Oct - Mera high camp 5800m/19,000ft. Sunny no wind. Camped below towering cliffs. We set off for summit @ midnight. Bad weather forecast! Sean at High camp mera. Stephen and Dan climbing up to High Camp. Photo S Kirkwood. 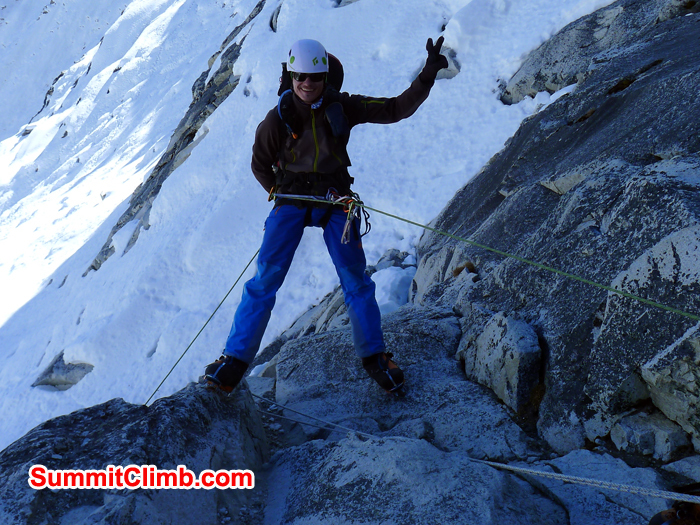 22 Oct - Rope training on steep slopes Kare Villge. 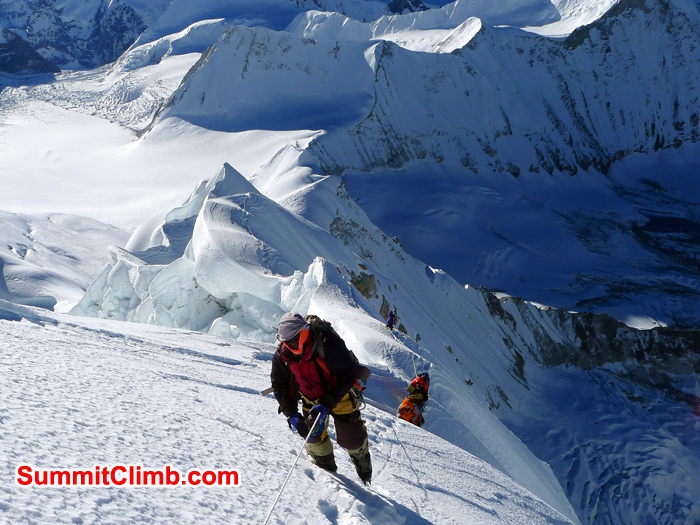 Ascent, descent, jumars, figure-8s, safety lines, ice-axes, crampons, helmets, harnesses. 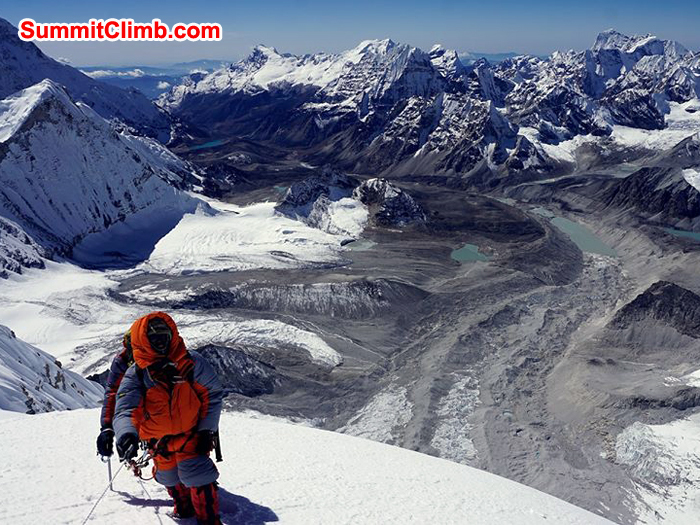 Merala Baruntse Mera climbing trek. Neil and Stephen near camp site in beautiful day. Photo S Kirkwood. 19 Oct - Rest day in Tagnag. 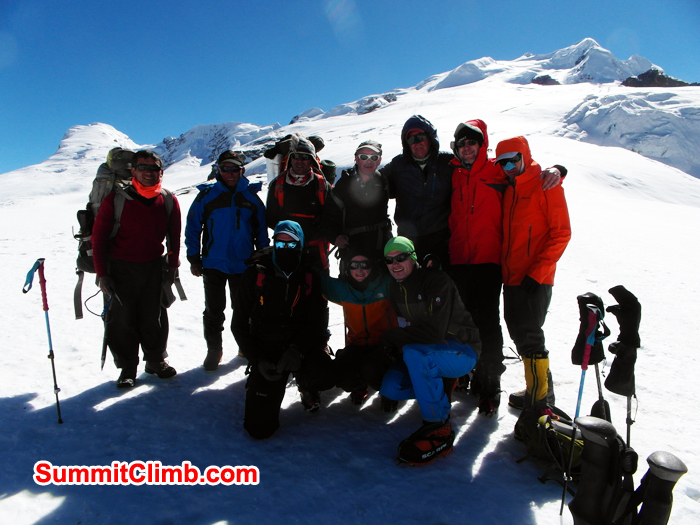 Team made acclimatization walk to 4750m / 15,675ft. Beautiful views of Mera through swirling clouds; blue sky. Following mighty Hinku River to Tagnag Village @ 4100m/13,700ft. Saw massive Lammergeier bird hunting sky. 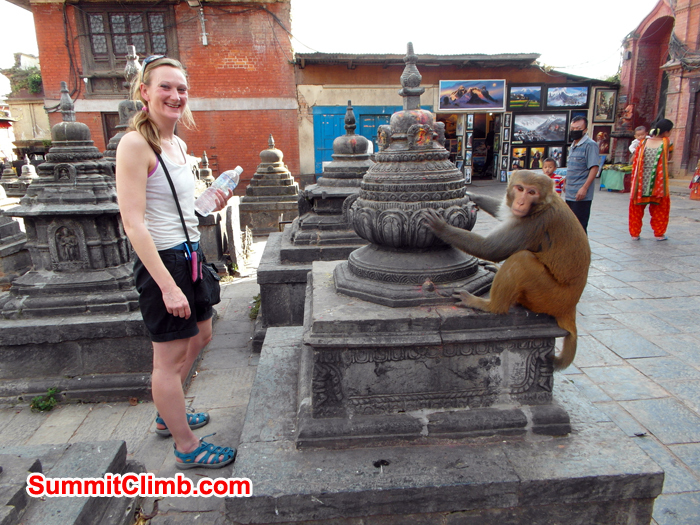 Visited 2 temples: Lucky! Walked down through the lushest forest to the raging Hingku River, and then following it upstream to Kote Village at 3500m/11,500ft. Tea house for rest. Trek across the Zetra La pass. 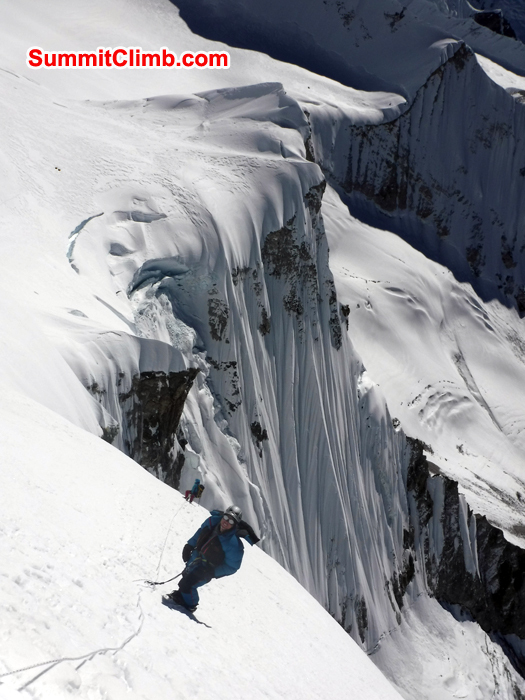 Photo S Kirkwood. 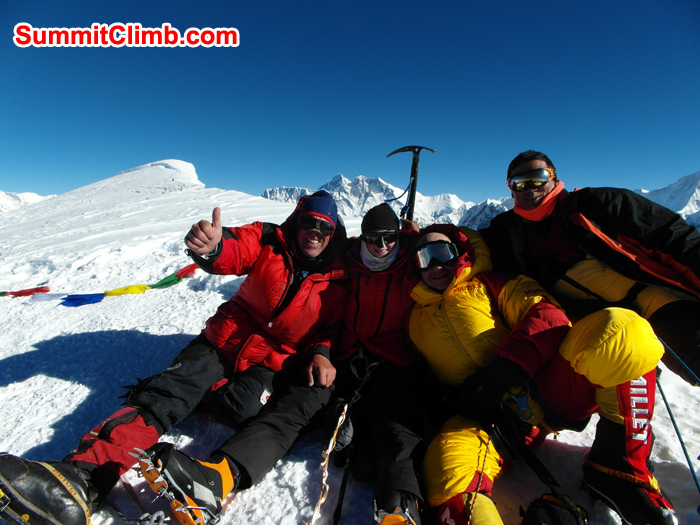 16 Oct - Today we crossed the Chetra La pass at 4500m/14,850ft. Winds were light with no snow. We saw pikas. Our team is healthy and happy. 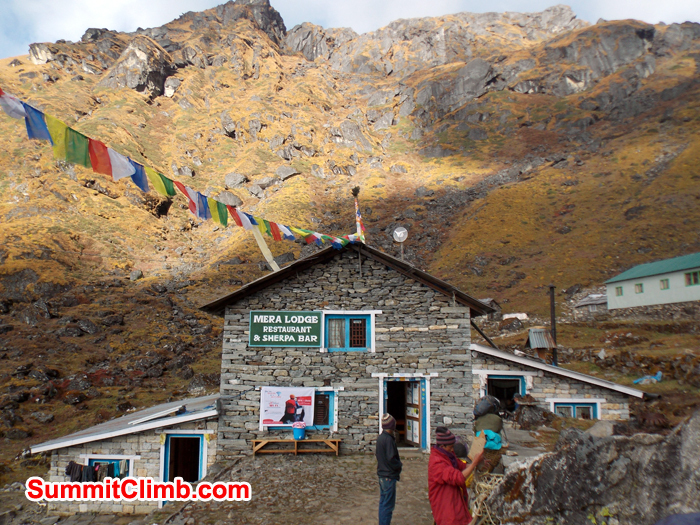 Walk through rhododendron to Karki Teng at 4000m / 13,200ft. Saw a herd of wild Himalayan Tahr sheep. Morning sunny. Now foggy. 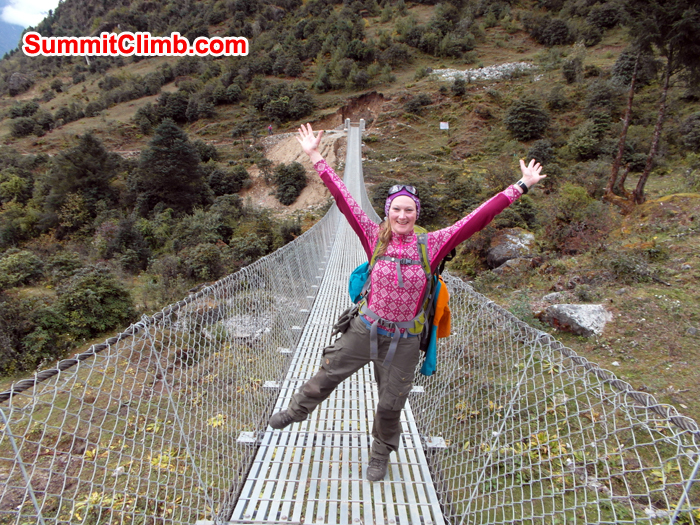 We trekked from Lukla - Chutanga @ 3200m / 10500ft through misty jungle with cicadas and birds. Clear morning dawn over Mount Numbur. 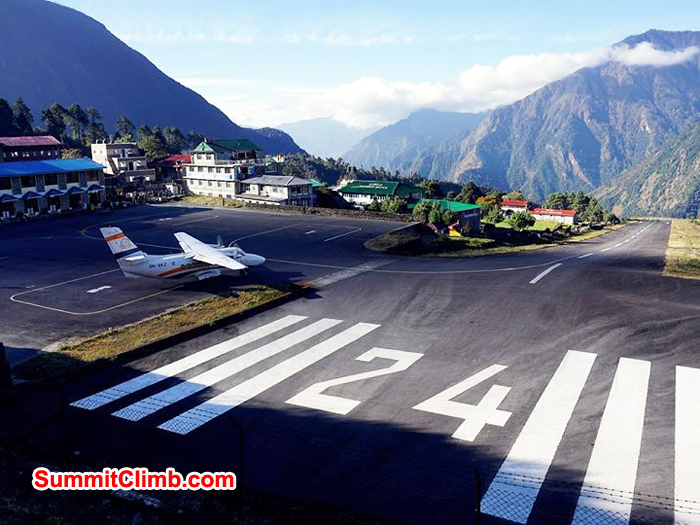 Harrowing cloudy Lukla flight. World's most dangerous airport closed after we landed. 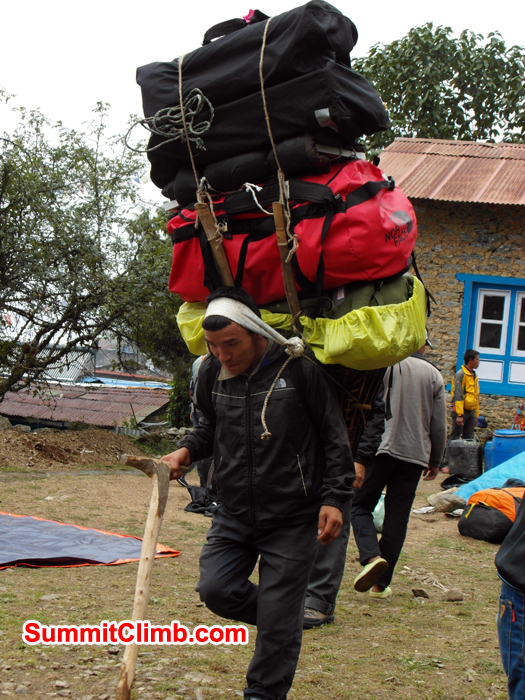 All members, Sherpas, and bags arrived safely. We are in the airport now waiting for the flight to Lukla. Very Exciting!! 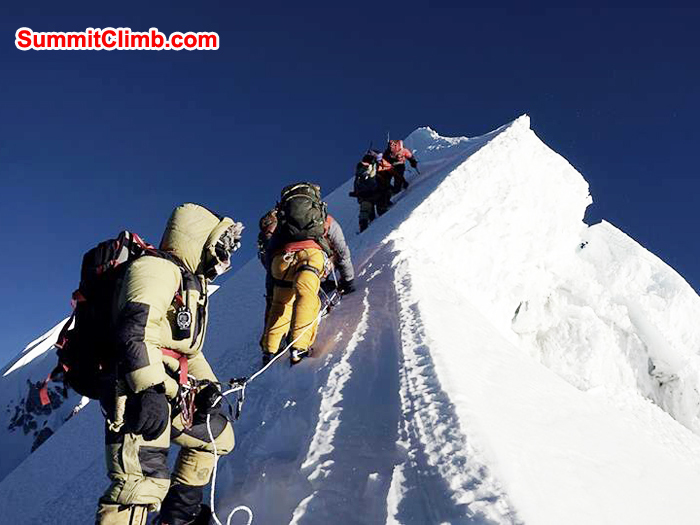 13 Oct: We had our team briefing today and we met all of the members and Sherpas. We checked the member's gear and went shopping for missing bits and pieces they needed to hire/rent or buy. We had a lovely group lunch and a delicious group dinner together, complete with cake and ice cream!